Once upon a time (in February this year!) I was asked if I’d like to model in the 2015 calendar for the Classics Museum in Glamilton, New Zealand. 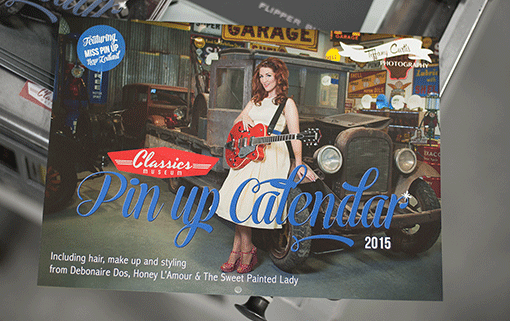 This is the calendar itself, starring my gorgeous pinup friend Monique as the cover girl … isn’t she a stunner?! A bit about my frock – for one; isn’t it divine?! Click here for a separate post all about it! 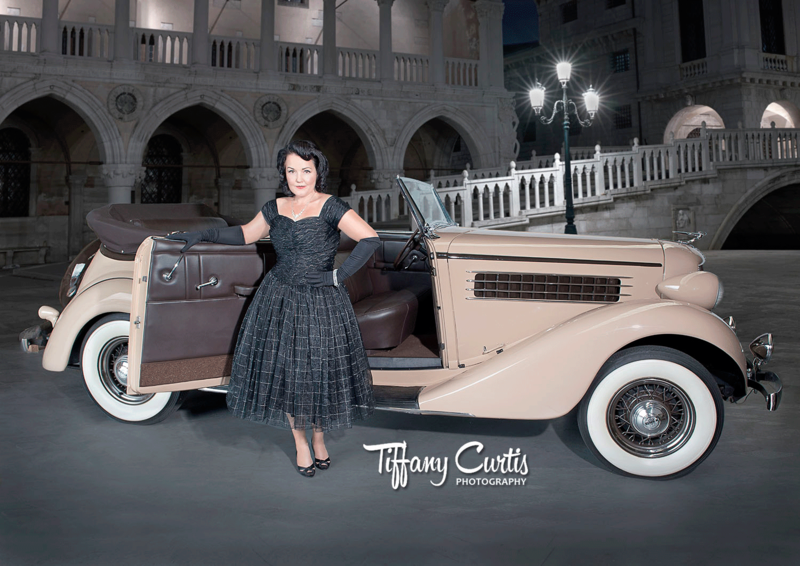 Anyway, once I was dressed Brigette and I headed off to rendezvous with my gorgeous 1935 Auburn Phaeton and have my photo taken by Tiffany. Brigette helped out with posing tips; making sure things were in the right place; foot placement and that sort of thing. It’s SO great to have that kind of help, because often a pose might feel OK but when you see it on camera, it just looks awkward! The shoot itself was pretty quick as Tiffany obviously knew exactly what shots she needed, and got them in record time! And so … to the launch party! Click here for the rundown! Posted on August 20, 2014 November 25, 2014 by MumptyStylePosted in Burlesque/Pinup, Mumpty StoriesTagged 50's glamour, calendar, Classics Museum, dress, louboutin, pinup.